Grace Place was bustling on Monday evening as the Berthoud Lions Club held their annual Reverse Raffle. Curtis Wilson, in his white coat and top hat added his usual wit and humor to the evening. 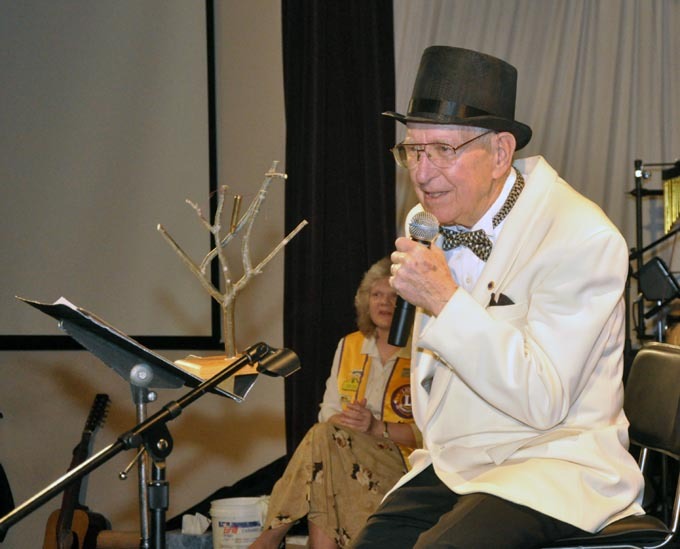 Fort Collins Lion, Alan Beatty provide even more humor and delightful songs and tales. There were the usual groans and moans as the names were erased from the big board and dreams of the $1,000 prize evaporated. The eventual winner was not present to accept his prize. Here is the evening in pictures. Curtis Wilson describes the first door prize,"A Cartridge in a Bare Tree," a parody on the "Twelve Days of Christmas." 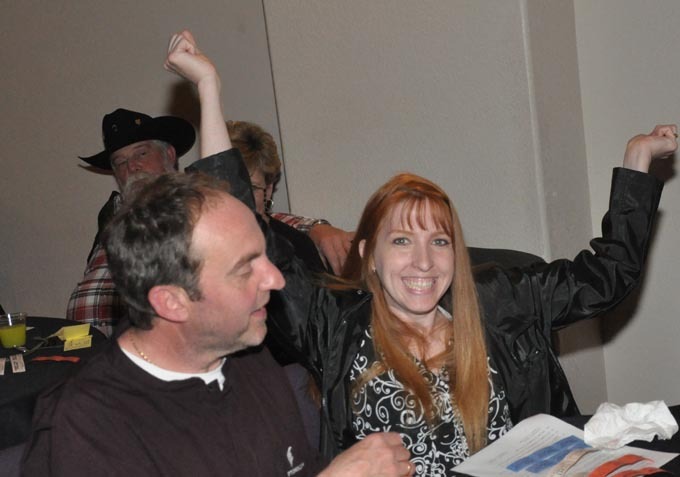 Sarah Jones reacts to winning one of the many door prizes. Site contents copyright © 2019 Recorder Online	except as noted. All rights reserved. | 125 queries in 2.395 seconds.